Looking to Lease a Four Bedroom Home in Toronto? The Average Landlord is Asking $4,400 a Month. 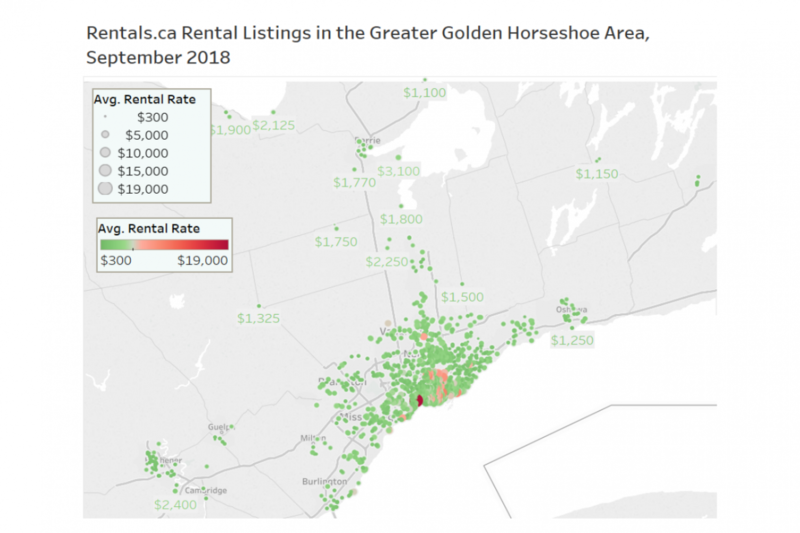 We’re likely to make a formal announcement next month, but Bullpen Research & Consulting Inc and Rentals.ca are working together to analyze rental rates and trends across Canada. 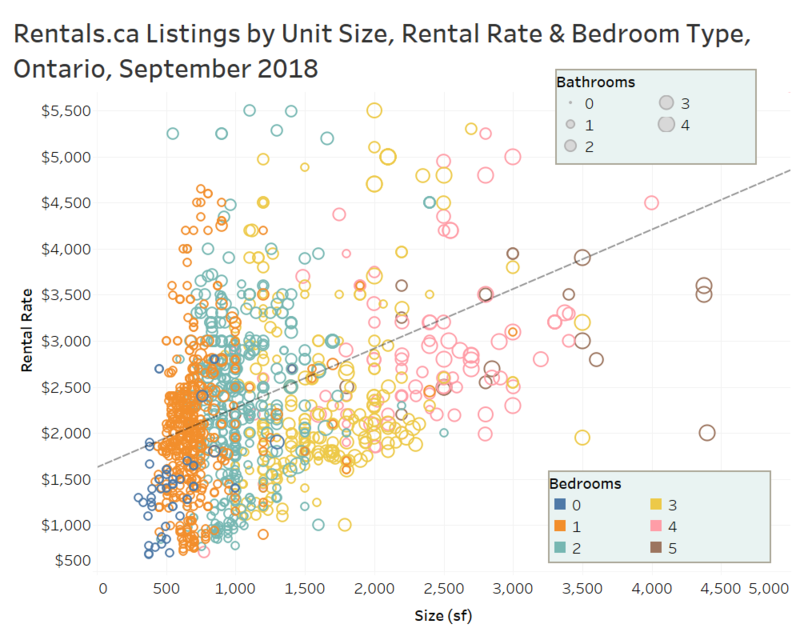 There has been very little analysis on the monthly movements in rental rates in Canada outside of the transactions that are listed on the various real estate boards, which tend to skew higher-end. The alternative is CMHC’s bi-annual surveys. This data will be very valuable on the consulting side for Bullpen as well, as we’ve worked on a number of rental studies this year. Developers and land owners in Ontario continue to look at their projects as potential rental sites. 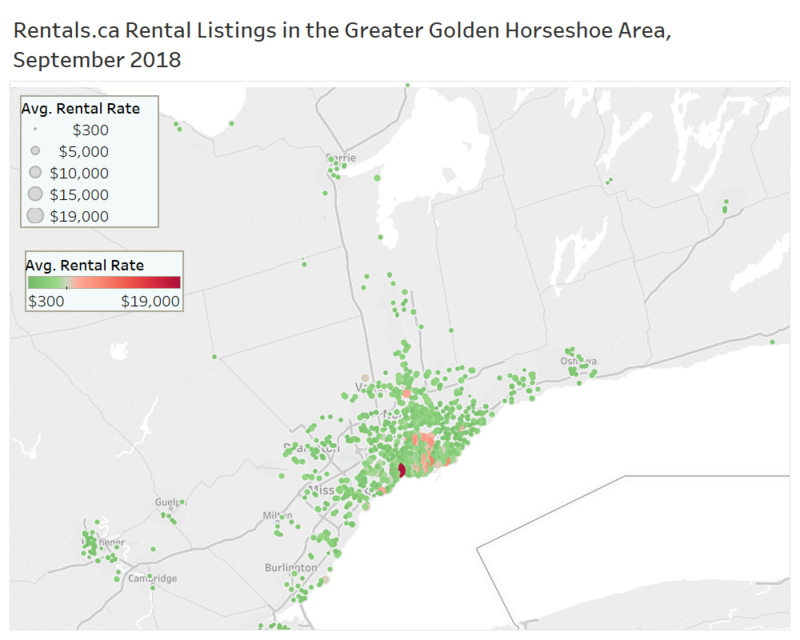 The map below shows the sheer number of listings that Rentals.ca has in the Greater Golden Horseshoe Area. 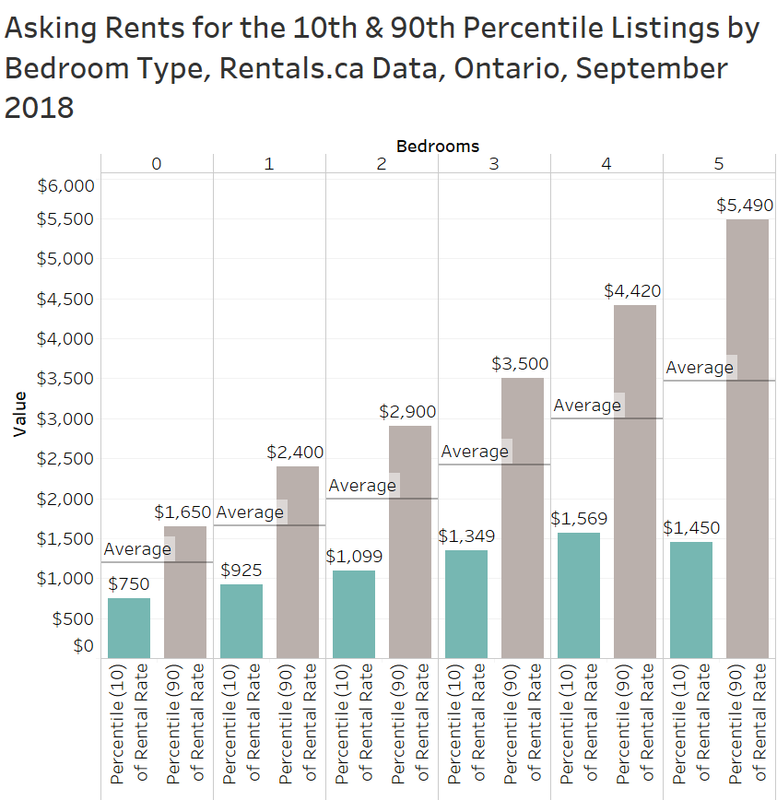 The chart below shows rent ranges by bedroom type in Ontario, we took the 10th and 90th percentiles to eliminate the outliers. Here are the rent ranges for the City of Toronto. The new mortgage stress test has impacted many potential first-time buyers, and in a couple studies that Bullpen has done for clients, rental rates for four bedroom units (mostly singles, semis and row homes) have seen the greatest appreciation in 2018 as demand has clearly outpaced supply. 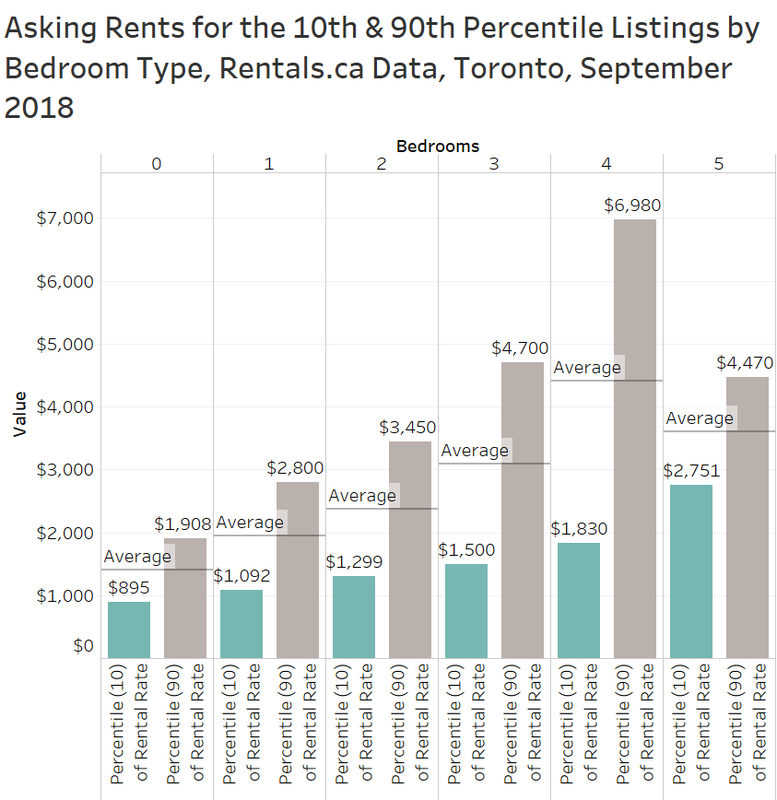 The average four bedroom unit in Toronto was listed for rent at $4,405 in September 2018, with the bulk of the listings falling between $1,800 and $7,000 per month. We look forward to getting deep into the rental numbers in the coming months. Check back soon.